Hello to all thelittleshittyblog followers. I had a lovely weekend away and now I’m back to post my second anime review and well…it’s not quite…ah…. I’ll just let you read on. Ok so whilst exploring the wonderful platform of Crunchyroll (in the midst of a very hormonal anime period, where binging on all things anime is a must) I came across a type of show I have never had the luck of coming across before. 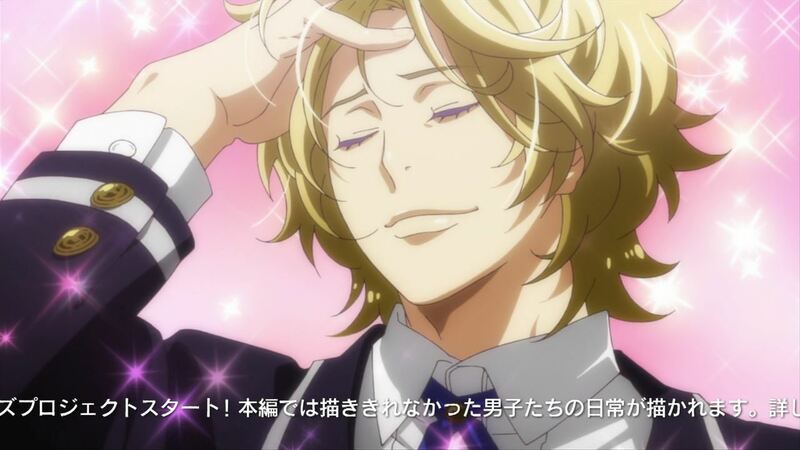 The show was called Makuranodanshi. Now I’m really being open minded here when I call this a show. Does it have a plot? No. Does it include interesting and funny interactions between the cast? No. But it does feature a character in each episode, so I’ll give it that. At least it’s not a flying grey cat pooping rainbows continuously for an hour. Makuranodanshi is closer to being a dating sim than an anime. Now I don’t know how common dating anime are but I have never come across one till now. Described as a ‘television anime’ on myanimelist.net, this show by Earth Star Entertainment is also coined by the website as a ‘new and novel animation entirely in the first-person perspective’. Makura no danshi translates to pillow boys, which is the collective term for the show’s characters. Each character is designed to fulfil every desirable anime type we viewers would ever desire. Well, they talk to you, the viewer, about a scripted scenario which you are forced to go along with. This in itself detaches the viewer from the situation, but I appreciate and admire the idea for its uniqueness. This show is designed for those ‘tired hearts’ (myanimelist.net) who want to briefly imagine what life would be like with an anime husband – as they are all male – who wants nothing more than for you to feel loved. Rather than tell you stories these characters talk to you, which as I said before, detaches the viewer from the situation since you are not reacting the way it’s scripted you do. It’s like turning up to perform without having a script or any clue about what is going on. Although I understand they did this to make the first-person perspective more involving, it actually just makes it odd to watch when they react to something that you didn’t do. It would have been better to just keep them talking and using that as a way to absorb the viewer. Perhaps complimenting that with better camera shots would have made it more realistic too. Instead of switching shots in the same way you would with a third-person perspective show, they should have kept the shots mostly stationary, mimicking the viewer who is likely to be still whilst watching the show. This sacrifice of creative shots would have made the viewers more likely to feel as if they were in the setting. If it was a necessity for the camera to move, then don’t include camera cuts and move the gaze of “the viewer” in a natural way so sudden switches of positions, as if the viewer repeatedly blacks out, don’t occur in something that’s supposed to mimic reality. So far I have only watched three episodes that each run for about 4:00 minutes. The intro lasts for about one minute and features the list of characters waiting for you. It’s obviously pure fanservice, with semi-naked men sprawled out on pillows looking bedraggled and alluring in only a way art can achieve. Prancing sheep symbolise falling asleep, so I would guess combining that with the title and piles of pillows featured in the intro, that you’re supposed to watch this before you sleep. No doubt aimed to send you off to the wonderful red-light district of dreams. The main character – if there really could be one – seems to be episode 1’s pillow boy, Merry, as he features the most throughout the intro. He is also the lovely fellow who is featured at the top of this post. Merry appears to be very youthful, loves pink and fluffy hoodies, has the glossiest hair and huge brown eyes. His setting – understandably as the first episode of the pillow boys – is on a bed piled with pillowed, surrounded by a peach curtain. It’s all very dream-like with blurring visuals and diffused lighting. 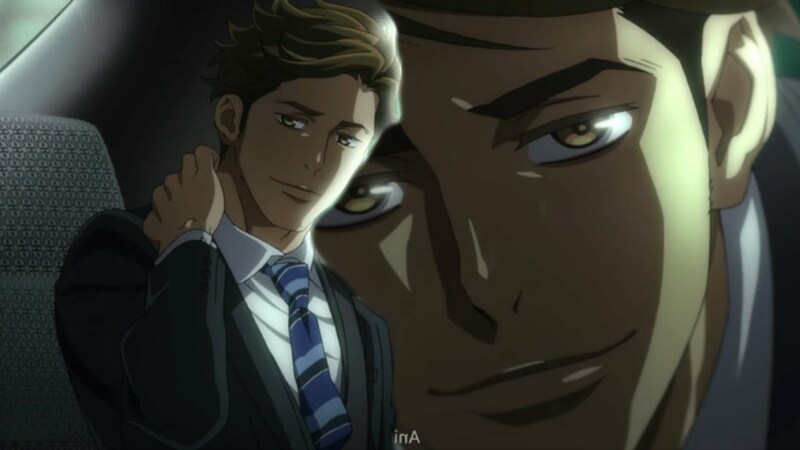 In the second episode Tanaka Sousuke, a dominant businessman who you see as your senpai, helps you get home after a night out. You get the impression that when you get back to your apartment, he is going to do more than drop you off at the door. In the third episode, we are introduced to the arrogant Hanamine Kanade who is a pompous teenager who loves nothing more than to belittle the viewer (hey, some people like that). The setting features signs of wealth and class. He is a master of the violin and doesn’t let you forget that (as long as you have a good imagination – read on to know why). Judging by this image, this is the Tamaki Suoh of the group. Also, he’s scared of spiders. In each episode, there is no music. I imagine this is to help make things more realistic. Although I get their motive, perhaps some ambient sound would have helped involve the viewer as music and sound draws people in. In the second episode, you can’t hear the cars that drive past and in episode 3 we are forced to imagine the music that Hanamine plays on his violin. This really surprised me. It seemed that instead of involving the viewer, forcing them to imagine something that in a realistic setting would be out of their control anyway seemed pointless and counterproductive. Overall this show is something to watch if you want to get horny or like for me, if you are just interested in seeing one of those oddball things that are so bad it’s worth your time, just to know that you’ve seen it. An experience is what I would call it. As it’s only recently started to be released in sub, not all the episodes are out but go check it out anyway. I doubt you’d want to watch all of it even if it was all released. RATING: So bad you can’t peel your eyes away. If you like what you just read then feel free to subscribe via email below so you don’t miss out on posts or follow using the RSS feed.